What an exciting way to kick off the year! Doors and More is known to invest heavily in marketing canada best custom glass shower door systems. With the success of our newly developed product “Industria and Industria LT”, d&m was featured on the Marc and Mandy Show! Below are segments produced for the show. Doors and More is currently measuring for a shower installation for yet another episode of Bryan Inc. In fact Doors and More is the #1 shower door supplier for HGTV renovation shows! "James Bond bathroom" at the National 2016 Home show, by Probuilt Design+Build. Click here to check out full episodes! We are back at it again with Season 6 of HGTV'S "Leave it to Bryan". It's no wonder even the pro's can't get enough of D+M quality built showers! Don't mean to brag or anything, but... Doors & More has won HomeStars' Best of 2015 award, making it 3 TIMES IN A ROW!!! Doors & More won the Best of Houzz Award for 2016 Back-to-Back in our category! Make sure to check us out on Houzz! ES Pro is Making Way in TorontoHOME Magazine! In The Winter Issue of Movato Toronto Home Magazine, you'll find that with a special coating on your glass shower it'll make cleaning your shower a snap and also our Star-Clear advertisement is going strong in this issue as well, so grab yourself a copy! Star-Clear Glass is Spreading Like Crazy! Star-Clear Glass is spreading its influence quickly, check it out in Tapworks Kitchen & Bath's flyer in your Toronto Star nearest you! Streak Free Application, Now Available! We are happy to say that we offer a special treatment that's worth the investment, introducing ES Pro the clear protective application that makes cleaning your glass enclosure a snap! Watch the video to see the big difference it can make to your cleaning. In The Autumn Edition of Movato Toronto Home Magazine, you will find our latest advertisement for Star-Clear Glass so grab your copy! One of Toronto's Top Interior Designer Samantha Pynn discusses the beauty and benefits of the Doors and More Roller Door in the National Post. HGTV's Open House Overhaul chooses the Doors and More roller shower door. Another HGTV show chooses a Doors and More roller shower door. Open House Overhaul's Samantha Pynn takes on a challenging open house project that includes a major overhaul and a gorgeous new bathroom that includes a Doors and More roller shower door. Nicholas Rosaci Tweets about D&M roller shower door. Doors and More is always super thrilled when designers that we hold in high regard have nice words for us , thanks Nicholas. Doors and More made their first appearance in print for the year in the new Spring 2015 issue of Movato Toronto Home Magazine. It's on newsstands now, so grab a copy or check them out online! Doors and More appeared again on HGTV this evening as we were a part of the debut episode of Samantha Pynn's new show, Open House Overhaul—Mondays at 10PM on HGTV. When David and Andrea wanted to get their master bedroom redone, they called HGTV's own custom guru Paul Lafrance to get a truly one-of-a-kind job done. Paul brought his new show's Custom Built crew along, and when he needed a custom glass shower enclosure done, he didn't think twice. He called Doors and More, because he knew we'd get the job done right. Check out the episode, The Rain Shower Master Bedroom, now on HGTV for free! It's true. Lightning never strikes twice. It strikes thrice! Doors & More does it again, winning Homestars' Best of 2014 award in Mirrors & Glass for our region for the third time overall and for the second consecutive year! A big thank you to all our customers out there that helped make 2014 our best year yet! 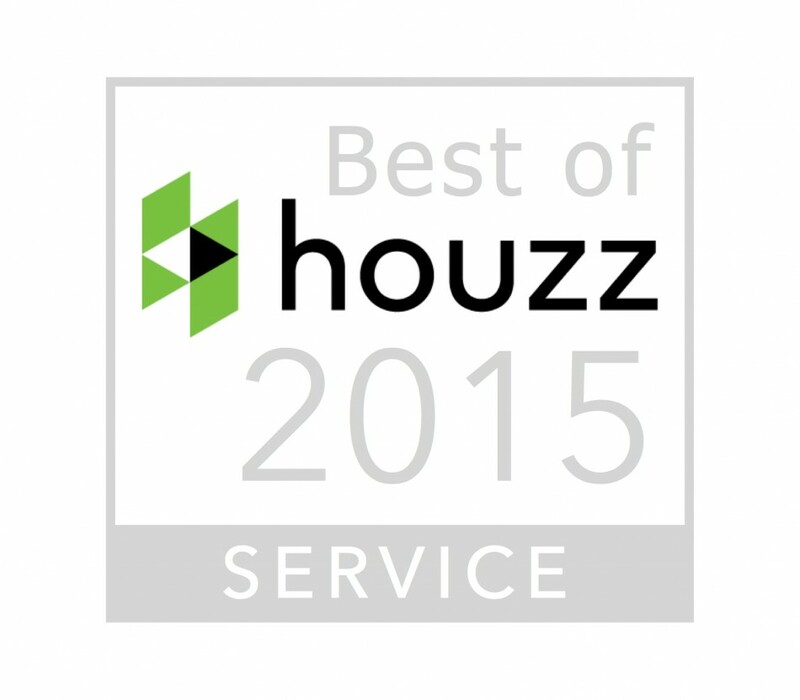 Doors & More is humbled and happy to announce that we have won the Best of Houzz Award for 2015 in our category! Make sure to check us out on Houzz! Doors & More does it yet again! Doors and More has been featured once again in the September/October 2014 issue of Hoss magazine. Check out the small feature on us and our patented Custom Roller Door in the magazine by clicking on the image on your right. Read all about Doors and More in this exclusive editorial. Frank Gartner discusses the importance of mastering the design, manufacturing and installation of one product. Also the variety of styles and solutions available make Doors and More the #1 choice for designers and contractors looking to install quality frameless shower enclosures for their clients. Today, Doors and More installed the first of many showers for Bryan Baeumler and the great folks over at HGTV Canada. We're doing some really funky showers, so we really can't wait to see how it looks on TV! HGTV's New Show Chooses Doors & More. We are excited to announce that Doors and More once again is selected to provide HGTV's shows with gorgeous frameless shower enclosures. This time is Paul La France and his new show Custom Built on HGTV. Coming soon, stay tuned! Toronto Home Magazine picks up on Doors and More's "Roller Door" concept and shows it in their Spring 2014 issue. Doors & More Featured In "Trends 2014"
Doors & More has been featured in TAPS "Trends 2014" insert, which was sent out and distributed with the Toronto Star newspaper. We are glad to be partnered with such a well renowned luxury plumbing boutique. Thanks, TAPS! Leave it to Doors and More!!! Doors and More is scheduled to do its 6th TV show this Thursday on the latest "Leave It To Bryan" episode for his own home at 2:30 PM. Doors & More has been selected by Houzz, the biggest website in the world for sharing Kitchen and Bath media, to be the premier shower door company featured on their site. View our page on Houzz and explore our pictures or write us a kind review. Frank (D&M president) and his wife Nedy were at the Royal York last night to accept the HomeStars Best Of Award 2013. Click to view our great HomeStars reviews! Doors & More Does It Again! 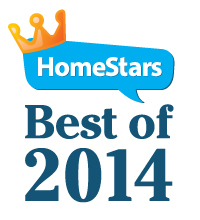 Doors & More has won the Homestars "Best Of Award" following a successful 2013 year. We would like to thank all of the clients who took the time to post a review for us. We will continue to offer amazing products and great service during 2014 and aim to win the award yet again. Doors and More has been featured on one of Canada's most popular home improvement magazine. Check out the article by clicking on the image to the right.